Michael Dougherty‘s Krampus (2015) does extremely well at the Box Office and the early numbers already record a projected $16 million during the opening weekend in the U.S., according to Variety news. That is only from 2,902 movie theaters featuring the new Christmas horror movie with the Christmas demon. 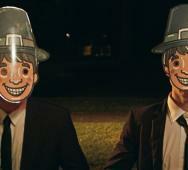 We also have a hilariously funny clip titled “Gingerbread Men Attack” below. Emjay Anthony, Adam Scott, Toni Collette, David Koechner, Allison Tolman, Conchata Ferrell, Stefania Lavie Owen, and Krista Stadler star in Krampus. Enjoy today’s preview and clip for Starz’s Ash vs Evil Dead S01E06 “The Killer of Killers” episode. Tonight’s episode is directed by Michael Hurst. We are already past the mid-season episode, and I do not know about you, but I really would have liked more episodes this season. 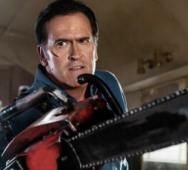 Hopefully, Ash vs Evil Dead Season 2 will get greenlit for something past 20 episodes. Bruce Campbell, Jill Marie Jones, and Lucy Lawless star in Ash vs Evil Dead Season 1. In Waukesha, Wisconsin, a suburb of Milwaukee, someone is dressing up as a creepy clown and watching the townspeople late at night. The first clown was a teenager who just stared at the people on the street, but there is a new culprit who has a more Joker-like clown costume and also waves to the people he sees at night. I guess the new clown has better manners than the first clown. WISN did a full news story on the occurrences which is included below. 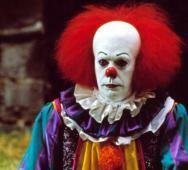 What would you do if you saw a creepy clown in your neighborhood? Fanboys and non-fanboys ate up Zack Snyder‘s Batman v Superman: Dawn of Justice (2016) second trailer today but now Mr Sunday Movies has released his video pointing out all the Easter eggs that most people missed. This video contains six Easter eggs and references contained in the new movie trailer. Warner Bros. and DC Comics hope this film will finally kick-off the DC movie universe with the beginnings of the Justice League (Superman, Batman, and Wonder Woman) coming together to fight a devastating threat to the world, Doomsday. 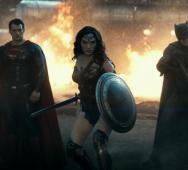 Ben Affleck, Henry Cavill, Amy Adams, Gal Gadot, and Jesse Eisenberg star in Batman v Superman: Dawn of Justice. 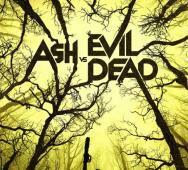 What would happen in an Evil Dead and The Walking Dead crossover? Bruce Campbell leaked the script and it is so “classic Bruce Campbell.” The script is a half page long with Bruce Campbell as Ash Williams (Starz’s Ash vs Evil Dead) sharing dialogue with Andrew Lincoln as Rick Grimes (AMC’s The Walking Dead). It would be great if we saw a short film version of this script played out, the fanboys would eat it up. AMC‘s Fear the Walking Dead Season 2 starts production in Baja, Mexico today. As you may already know, the next season of Fear the Walking takes place, in part, on the open ocean. The second season will feature 15-episodes of Fear the Walking Dead premiering Sunday, August 23, 2016. The first episode will air with a special 90-minute episode. We will post more Fear the Walking Dead news updates as they are announced. Scream Factory had to delay the Blu-ray release for the Collector Edition of Wes Craven‘s The Serpent and the Rainbow (1988). The new release date will be February 23, 2016. This news was announced on Scream Factory’s Facebook page. Special features will be announced in early January 2016. The Serpent and the Rainbow starred Bill Pullman, Cathy Tyson, and Zakes Mokae. Universal Pictures released a new featurette for Krampus (2015) with the director Michael Dougherty plus cast members including Stefania LaVie Owen, Allison Tolman, Conchata Ferrell, Adam Scott, David Koechner, and Emjay Anthony. Krampus releases in movie theaters on December 4, 2015, and you already know we are hyped to see this new Christmas horror film. Krampus used a $15 million budget and knowing Michael Dougherty (Trick ‘r Treat (2007), X-Men 2 (2003), Superman Returns (2006)), he used that budget well. Netflix released some excellent movies on their VOD service today. We have the full details for each movie listed below along with the cast and directors. Among the list are a lot of horror movies but also some sci-fi films. The list includes Escape from L.A. (1996), The Chosen (2015), AEon Flux (2005), Amnesiac (2015), Darkman (1990), Private Number (2014), Stir of Echoes (1999), Stir of Echoes: The Homecoming (2007), The Chronicles of Riddick: Dark Fury (2004). 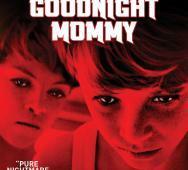 Co-directors Severin Fiala and Veronika Franz‘s Goodnight Mommy (2014) is releasing on December 1, 2015, via Anchor Bay Entertainment. Been searching the internet a little and could not find what bonus features are included in the Blu-ray / DVD. Susanne Wuest, Lukas Schwarz, and Elias Schwarz star in Goodnight Mommy. 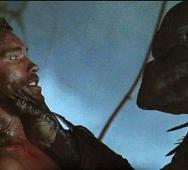 New PREDATOR Sequel Script Completed! The draft for the new Predator movie script for 20th Century Fox has been completed by co-writers Shane Black (writer/director) and Fred Dekker. Fred Dekker posted about the completion on his Facebook account yesterday. These are the same two writers who co-wrote Monster Squad (1987), so this first draft for the new Predator film may just have most of the foundation set for the final script. Producer John Davis said a few months ago: “the writing is so fresh, the perspective is so fresh. I’m telling you you’re going to get something you don’t expect, and you’re going to say, ‘This is the most entertaining way to reinvent a franchise.” The film will follow Predator (1987), Predator 2 (1990), and Predators (2010). Predator 4 is still a little ways off in development, but we hope they also wrote a cameo piece at least for Arnold Schwarzenegger. Looking for a hilarious video featuring The Lord of the Rings Orcs? Look no further, this video is funny and amazingly good. Special thanks to ScottDW for creating this dance video. 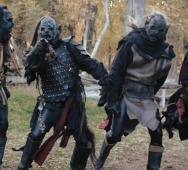 Seeing the Orcs dancing was just as good as seeing Legolas interrupt their dance with arrows. The video is also available in 4K quality. Gremlins 3 has just released the latest news update from Zach Galligan confirming that Gremlins 3 is happening! 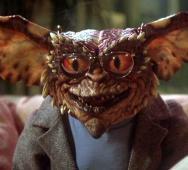 The latest Gremlins film will not be a reboot or remake. The film will take place 30 years after the original movie. Galligan says that the approach to the Gremlins 3 film will be similar to the route Jurassic World (2015) went. Galligan is not sure whether he will be in the movie or not, full details below. Remember, this is not official news released by the studio. 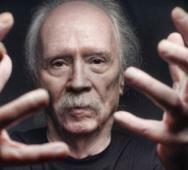 Master of Horror, John Carpenter, is planning on dominating the horror TV world by unleashing four new horror TV series that will push the boundaries of horror. That is a huge claim, and I am really excited to see what develops. John Carpenter’s wife, Sandy King Carpenter, recently revealed John’s master plan and the best news, they are all ready to go right now! Tell us what you think about this thrilling news in the comments below. 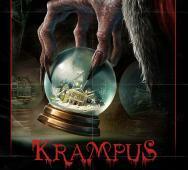 Michael Dougherty‘s Krampus (2015) is almost upon us, opening in movie theaters this upcoming December 3, 2015. Some of you may be wondering how the legend of Krampus came to be and the origin of Krampus the Christmas demon, this video explains it all. Allison Tolman, Adam Scott, and Toni Collette star in Krampus. 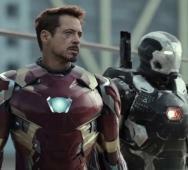 Did you get all of the easter egg references in the new trailer for Captain America: Civil War (2016), probably not? It did not take long for Mr Sunday Movies to create this video detailing all the easter eggs in Captain America: Civil War; we greatly appreciate it. 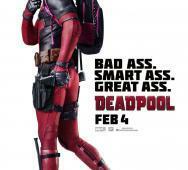 Thanks Mr Sunday Movie and do not forget to like, comment, and share. Kevin Bacon is confirmed to star in Tremors TV series. Universal Films and Blumhouse Productions will produce the TV series that might air on NBC or Syfy. 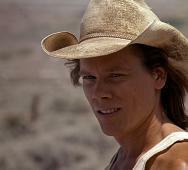 What do you think of Kevin Bacon returning to the Tremors franchise, especially in a TV series?